Hye.. And first of all, sorry for not being here about half a year.. ^_^.. Well, not that I've abandoned this blog.. It's just, I lost a bit of sparkling fire to blog.. It isn't about topic coz I got PLENTY of them.. It's just the mood is still flying in the air and the passion suddenly cool down..
Ok, cut all the craps.. Today's topic is a bit serious.. Not that serious 'serious'.. Just an excitement serious.. If you're my friend on facebook, U'll notice that recently, I just found a new hobby.. And I like it.. Yeah.. And since I'm in love with muscle workout, this hobby is JUST PERFECT.. 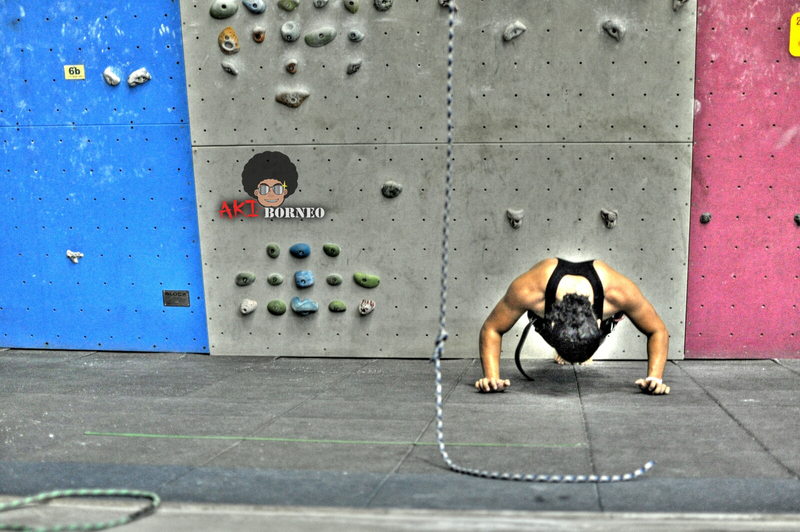 I mean, of course WALL CLIMBING is just suited and perfect for me..
Firstly, thanks to DC @ www.room8five.com for the introduction.. Yeah, you know him of didn't you.. If you don't know, then just go die la.. Naah.. just kidding.. ^_^.v.. Here he is.. My super senior in climbing.. And the rest, is my precious climbing buddy.. ^_^.v..
Yeah.. Comel kan?? Well.. I actually started end of March this year.. and now, I'm officially 3 months addicted to this.. For sure I'm serious if I've actually buy myself the complete gear for this hobby right?? ^_^.v..
Well for now, I'm still a beginner.. Still nothing to be proud off.. Just trying this and that.. Trying new route, new place.. Perfecting the route I've done before.. 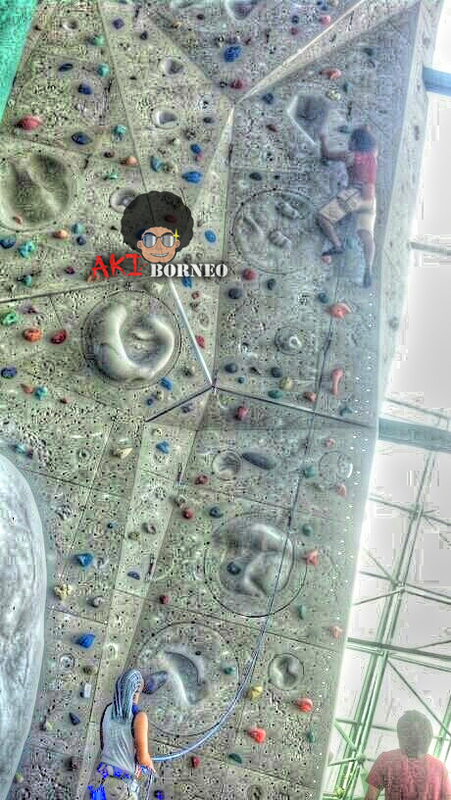 So, this is some of my 'minta puji' moment.. Hehehe..
And just recently, I mean last weekend, I've my first step at Lead Climb area.. This is the area which you have to clip the rope on your own.. It's not like the typical wall climbing (top rope).. It's more tiring, more exciting and yeah, dangerous.. 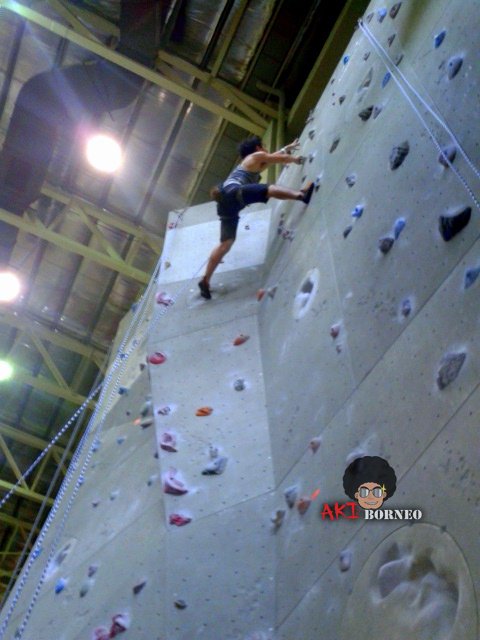 But I manage to have a clean climb on that beginner route..
Hm, so that's all for now.. Bye.. ^_^.v.. Hope to type more soon..
Aki : Who wanna join me??!! You looking great Aki! 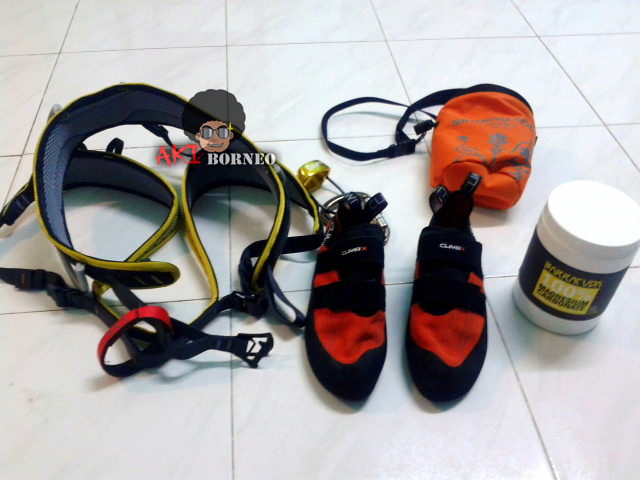 I dont think I can climb much..
Si DC sama si Kay juga la tatap. Haha. Diorang juga yang kasi kenal sia ni sport. Tapi sayang, satu kali ja sia try. best ow....d kk tiada bah begini..huuhuuu..
Hidup memang bahagia di KL, haha. 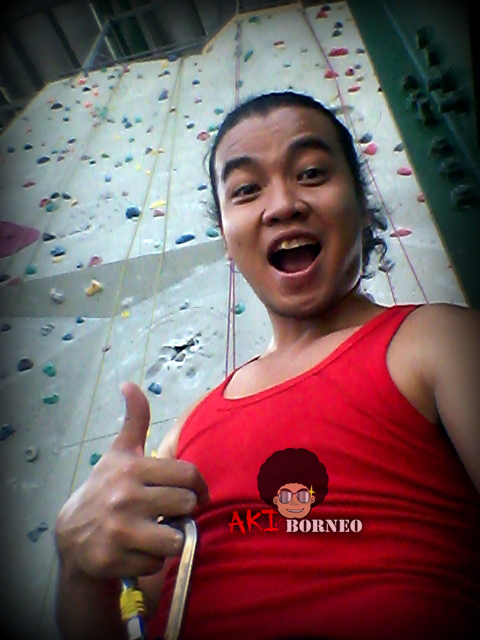 akiii, try ko climbing saaaana pulau berhala.. mcm best! [ HOT!! ] This Week Top Rambling..
[Gambar] Heliza Helmi Tetek Besar?? the XYC. Awesome Inc. theme. Powered by Blogger.